DGA 1st/2nd AD. Commercials/Features. 15+ years in LA. Also work as PM. Local & Remote Location pro. Clients - Believe Media, MJZ, Hungryman, Disney, Backyard, DarkLight, Crossroads, 100's more. Resume available. I have over 8 years of experience as a Non-Union 1st AD in features, industrial, and commercial productions. Proficient in MM Budgeting and Scheduling and other software. Have a track record of coming in on schedule and running multiple units at the same time. Clients include Discovery Channel, Disney, Caterpillar, Cox Media, PBS, Dove, Fox, and many others. 1st/2nd AD. TV Series, Features & Commercials. An excellent communicator, I insist on positive attitudes, tact & diplomacy. I have a great reputation for coming in on time, and on budget. I live in Phoenix, but I own an RV and I’m willing to travel. I work as local in L.A. and throughout the southwest. See IMDB Credits. Resume available. Non-union 1st/2nd AD for over 4 years. Experienced in a range of production types throughout the state. Knowledgeable, Diligent, Efficient, Flexible, Professional, and Always Positive. Excited to make your production a success! 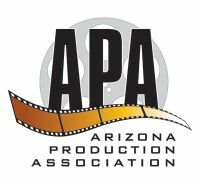 DGA 1st/2nd A.D. Over 20 years experience in L.A./AZ working on TV series, pilots, films, commercials. Experience working in all types of location environments. Credits available on request. Completed DGA safety passport training. Graduate Assistant Directors Training Program. DGA 1st AD. Work in LA, NY, AZ and distant locations. Commercials/Features/Television/Digital/VR. No job too big or too small. Highest quality production work. Current Safety Passport certification. Non-Union 2nd AD features & commercials. Professional, organized, efficient, and a team-player. Experience with Casper, MM Scheduling, Shot Lister, etc. Available to travel with a passport. References and resume upon request. Non-Union TV and Commercial 1st & 2nd AD in AZ and LA. Organizing productions for 10+ years around the world. Credits in 20+ countries. References and resume upon request. DGA. 24 years experience. Clients include: SRP, Cable One, Arizona Lottery, Gillette, Pepsi, Wal-Mart, Audi, BBCTV, PETSMART, Peter Piper Pizza, Casino Arizona, Ping, Blue Diamond, Coca-Cola, Scotts Lawn, Volkswagen, Basha's, Sonic, Skechers, Robson Communities, GoDaddy. 1st AD.